Ellie Higson believes that spiritualist Mrs Vanguard can hear the voices of the dead, but Henry Gordon Jago thinks it’s all superstition and theatrical trickery. But if Vanguard is a harmless fake, then why have some of those who have attended her sceances disappeared so mysteriously? 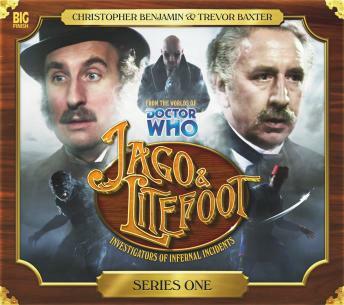 Jago and Litefoot investigate... And find themselves facing a deadly foe from the afterlife.